On February 25, 1530, Pope Clement V approved an Office of the Holy Name for the Franciscans, and it spread throughout the church. 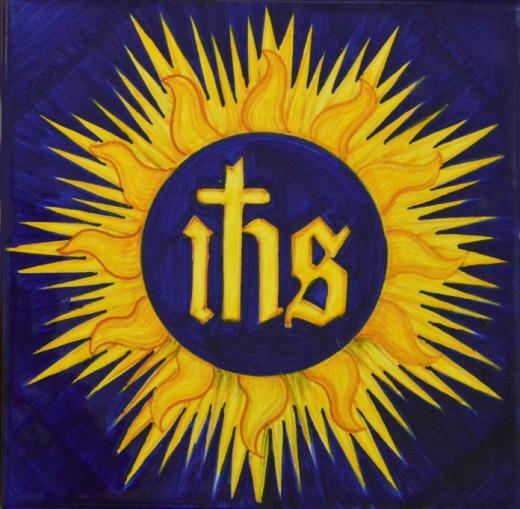 In 1721, Pope Innocent XIII officially extended the feast of the Holy Name to the entire Church. I personally have witnessed many miracles of healing and deliverance through the invocation of the most holy name of JESUS in the streets of Austin, TX but most especially on 6th street and Congress. This has occurred while the 45 men in diaconal formation and the two formators (Deacon Dan Lupo & I) have been practicing St. Paul Street Evangelization with Steve Dawson (founder) and Adam Janke (CEO). The miracle in the video of a man with a cane who limped because he had been shot in the leg and the bullet was still lodged in his muscle is similar to the miracle JESUS performs in the gospel. Many chronic illnesses are not only physical but spiritual in nature which means that forgiveness or some type of inner healing is also involved so that a full and complete healing occurs. This is where Dr. Bob Schuchts and the JPII Healing Center out of Tallahassee, Florida really excel and have taught us so, so much. On December 15, 2018 we again witnessed many healings in the name of JESUS. Here are two examples. Alex had just been operated and you can still see the bandage on his head. He was in great physical pain. We met him on 6th street and asked him if he wanted prayer in the name of JESUS to alleviate the pain, and he said “yes.” It took a couple of prayer sessions in the most holy name of JESUS, but in the end the pain was completely gone. Then we met up with Jessie on Congress Street who explained that he had a great anxiety. We asked him from 1-10 with 10 being the worst what is your level of anxiety. He said, “10.” We prayed in the most holy name of JESUS, and he said it was now at a level 4. We prayed again, and he started to smile from ear to ear and said it was now a 1. It is not only sickness, but demons too must bow at the name of JESUS. Fr. Gabriel Amorth, Vatican’s Exorcist states, “It is only in His name that we can win and free ourselves from the enemy of our salvation, Satan. At the end of the most difficult exorcisms, when I am confronted with total demonic possession, I pray the Christological hymn of the Letter of Paul to the Philippians (2:6-11).